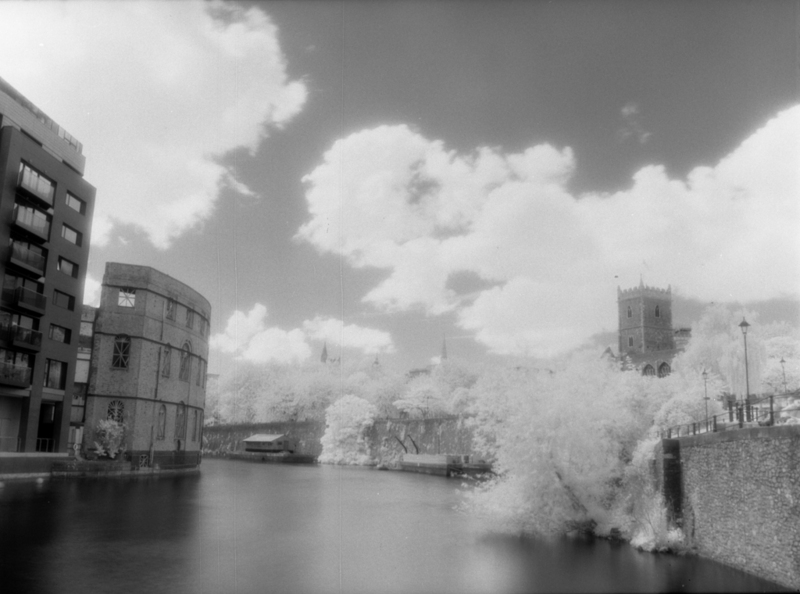 Getting the exposure right with infrared photography is notoriously hard. 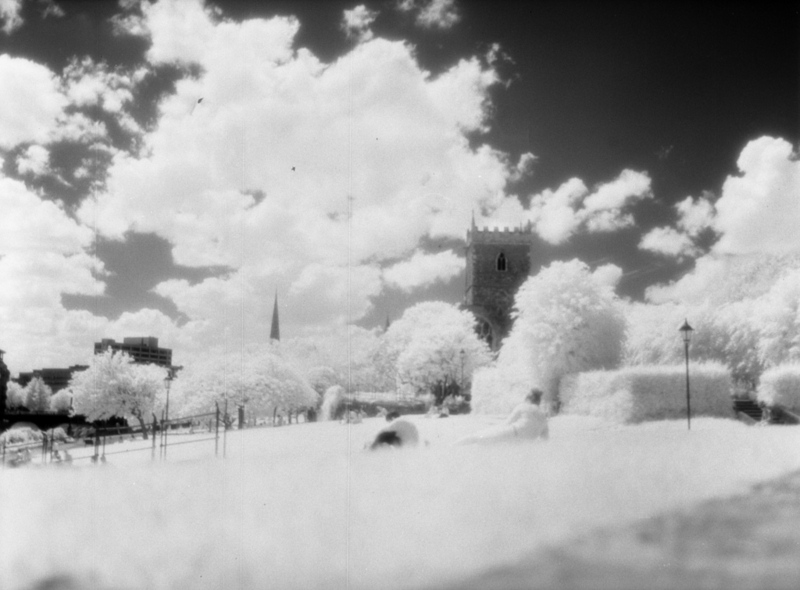 Last time I tried infrared, back in Spring, I made a roll of widely bracketed shots and compared them to meter readings of visible light. I calculated that whatever the meter said, I needed to add 9 stops. 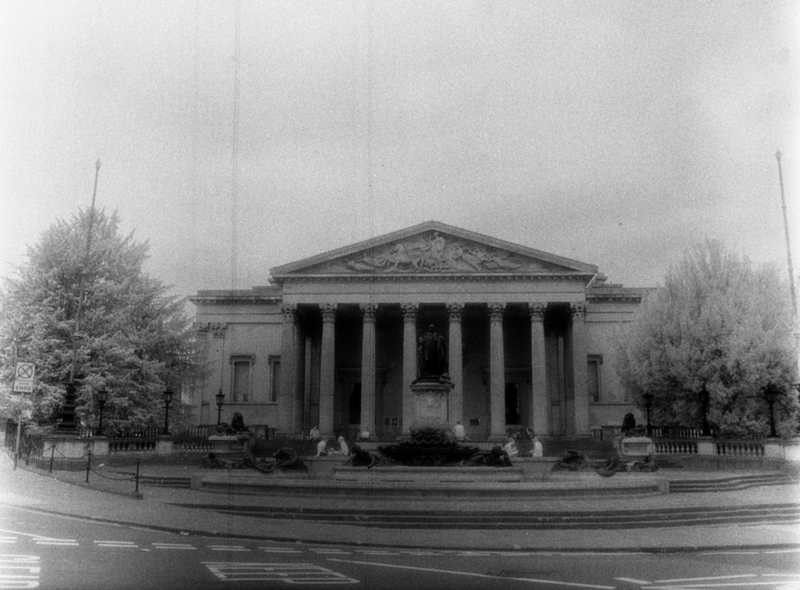 Having come up with this value I then shot a roll of film using this method, no bracketing – and it worked a treat. However, that was Spring, this is Summer, and there is a lot more infrared radiation floating around. 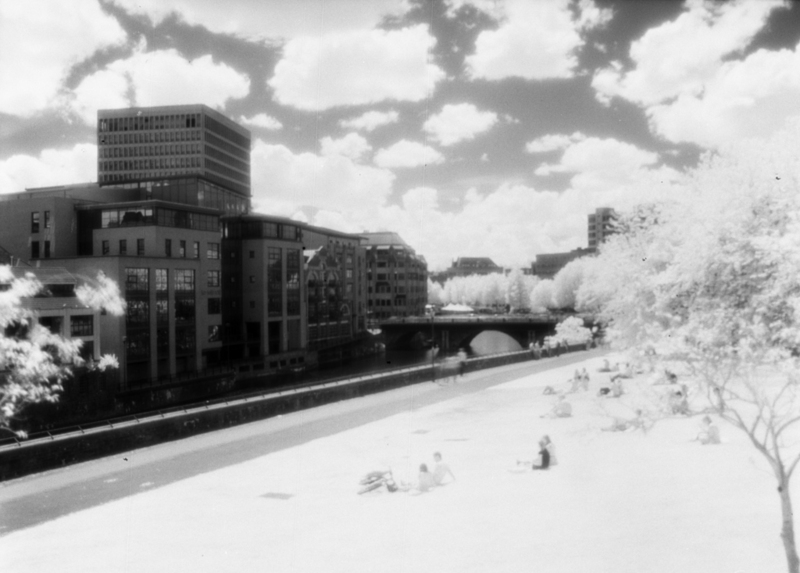 I thought the amount of IR would increase in proportion to visible light, so my 9 stop compensation would still work, but unfortunately that wasn’t true and this roll is grossly over-exposed. Perhaps 6 stops would have been better. 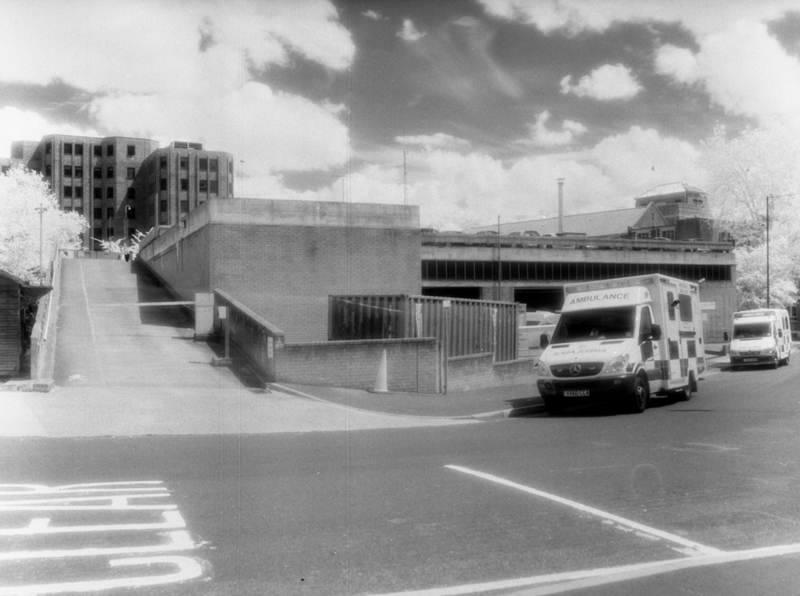 These shots were so overexposed that there is a very poor dynamic range and lots of grain. Some of the frames are worse than others. They were all shot with my Mamiya RB67, using a Mamiya-Sekor C 50mm wide-angle lens, and Efke IR 820 Aura film in the 6×4.5 frame format. That’s a lot, but the value is also specific to my filter (760nm) and film (Efke IR 820 Aura). 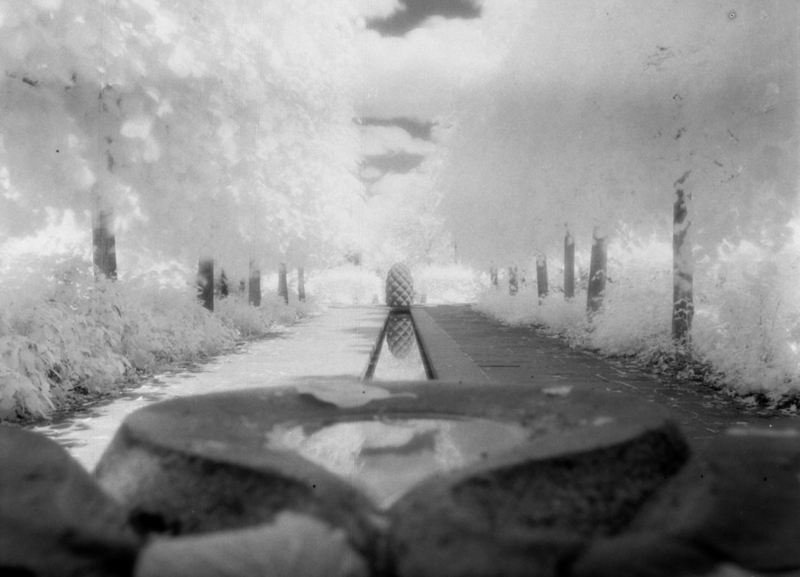 You’ll need to come up with your own value if you are shooting infrared film yourself. Have a look at my notes for figuring this stuff out.